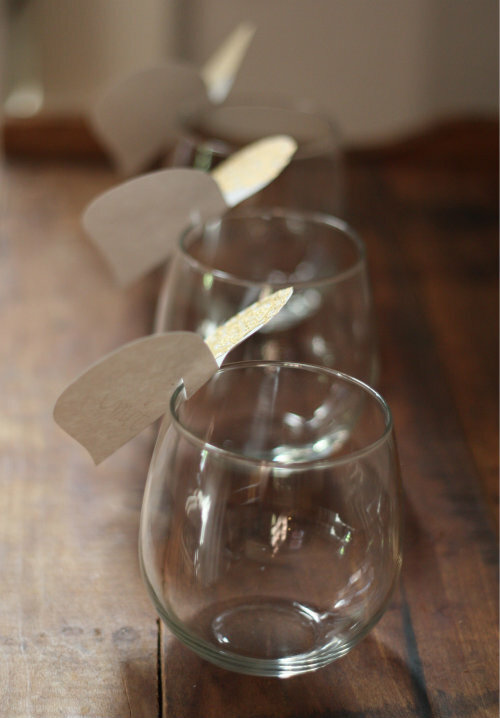 Today we thought it would be fun to share one of the smaller diy projects we made for the weekend wedding events coming up. 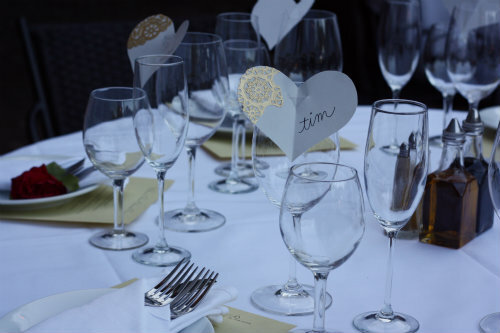 I've always loved the idea of place cards and a seating chart, however our reception won't be a seated dinner, so we wouldn't need them for the larger of the parties. Here's everything you need to know about how I we made them, in case you might like to make a batch of your own! 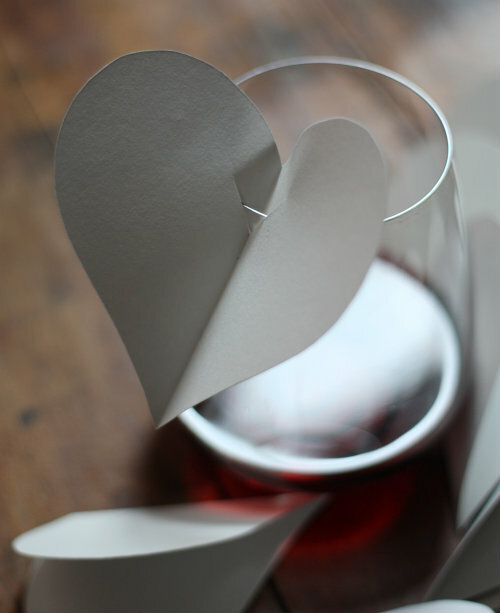 You could make them in shapes other than hearts and they'd be cute for all sorts of entertaining — birthdays, holidays, and more. 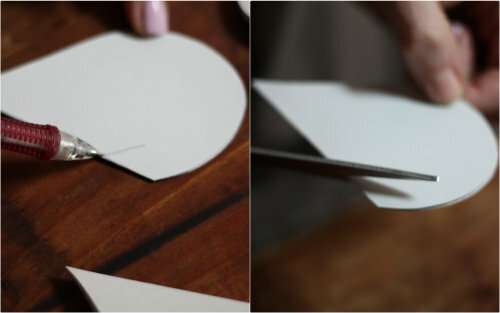 First cut out a heart or shape of your choosing that you're happy with the size of for your place cards — you can use a template or free-hand it like I did. 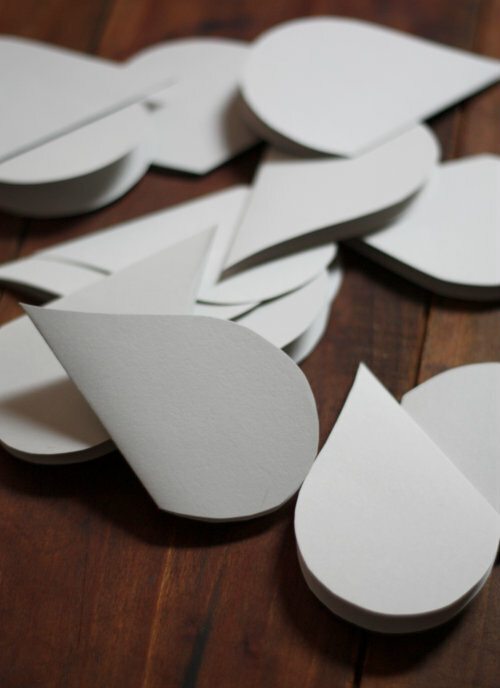 Once you have this basic shape, you can use it to trace all of your others to make each place card uniform. 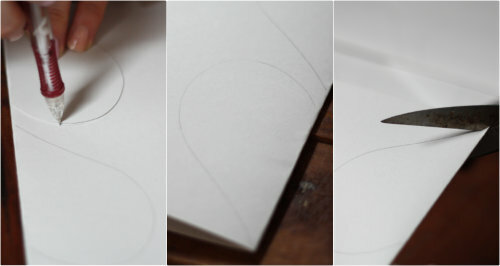 I cut out a few extra hearts than I needed in case I messed anything up down the line. 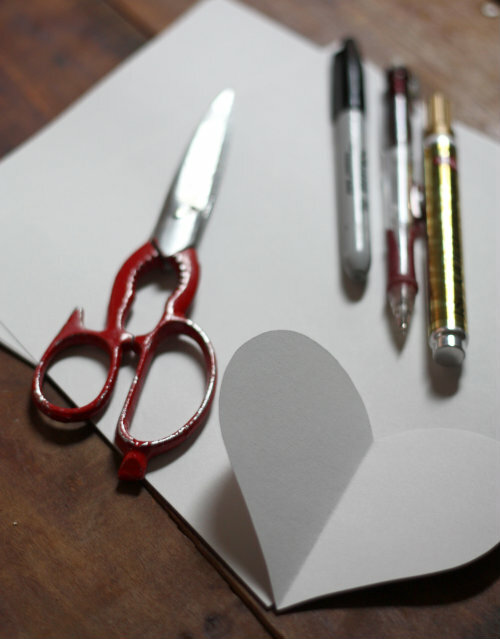 If you have trouble getting it to slide on, you might need to make a longer slit cut or gently pull the slat away from the rest of the heart to slide it on without ripping the paper. 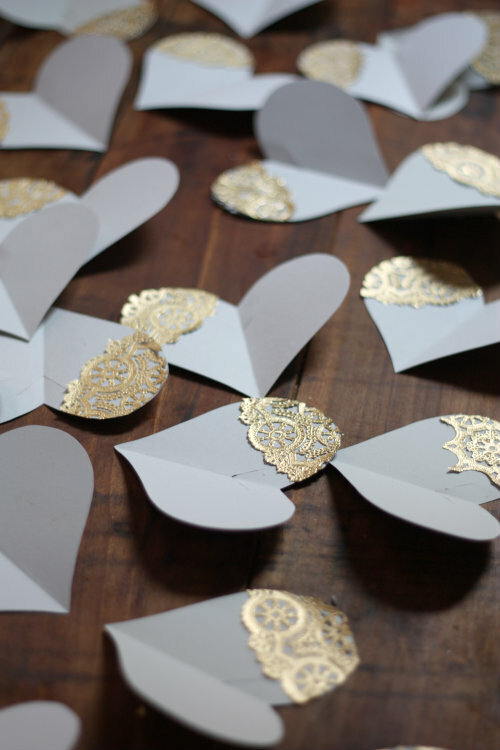 Gold is one of the colors in our wedding and we have traces of it throughout many of the details. 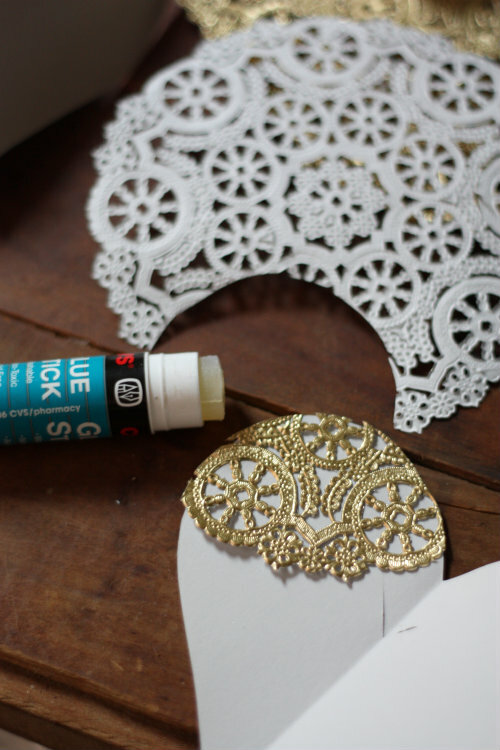 You might recall, we even had gold doilies lining our wedding invitations. 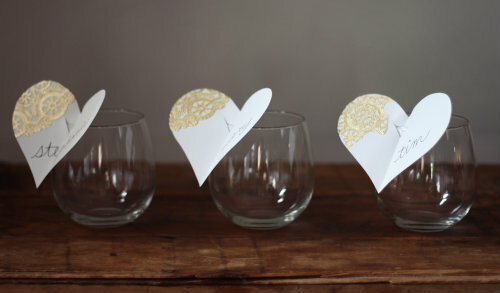 I thought it could be fun to try to weave this same theme into these place cards. 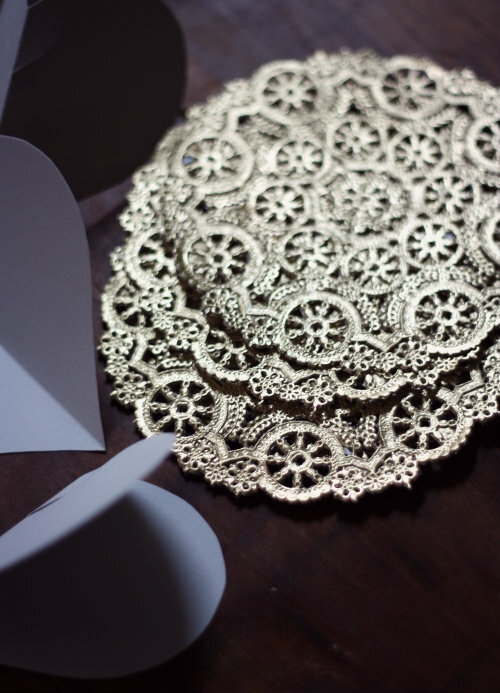 I got a big pack of these doilies from Owl and Thistle on Etsy if anyone is looking to source them for your own projects. So that's that! So simple, right? I love that we were able to make these ourselves with mostly materials we already had on hand, and they feel pretty fancy to boot! I also love how we were able to "lace" in some of the same theme we've incorporated into other wedding details (pun intended). Tim's running them over to the restaurant tomorrow, so they'll all be set up when we arrive. I'm excited to see how they all turn out and what everyone thinks. I hope they will make for a nice personalized touch. Cheers to that! 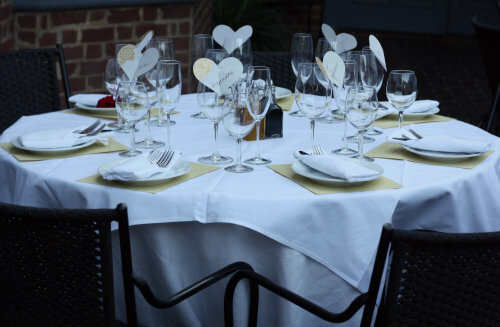 Read more about the rehearsal dinner table decor along with the place settings my mother made for my bridal luncheon in this post. Thanks guys, they were a lot of fun and so easy to make! 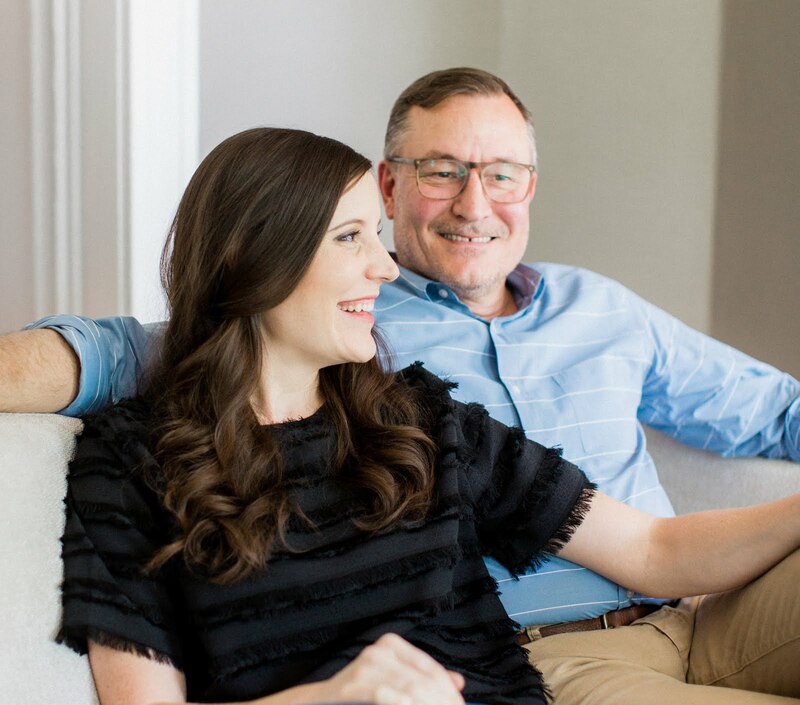 I hope you'll let us know if you try it out!